Fitness model and life coach, Koya Webb, serves up inspiration on the cover of Oxygen Magazine's current issue. In the interview she talks about her fitness routine, her nutrition and the importance of self-care. I was personal training for a long time and came to realize that I was more concerned about the person inside than the one outside. Yes, I love training and nutrition, but I think there is something deeper that people are yearning for — a spiritual and mental connection. I found peoples’ stories fascinating and wanted to do what I could to help them. Check out Koya Webb's Instagram page for even more inspiration. 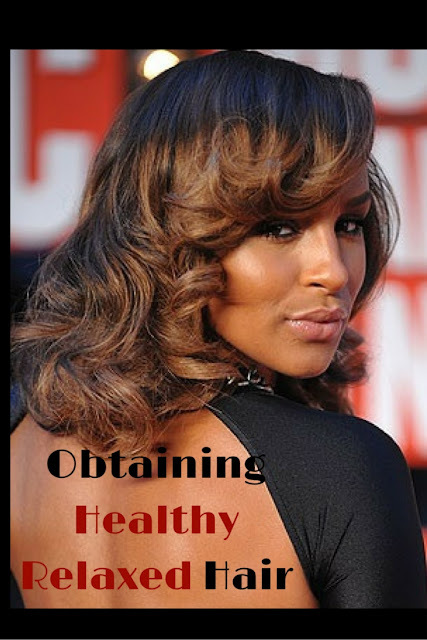 I recently relaxed my hair and have been researching ways on how to ensure my hair achieves an optimal level of health. Actually, I am currently double-processed with both a relaxer and color, which means my hair is even more susceptible to damage. Thankfully, I've found a number of amazing videos on Youtube (don't you just love Youtube for its wealth of information) to help me along my healthy relaxed hair journey. I will also be revisiting Sharifa's book, The Five Hair Archetypes, which I previously reviewed on this blog. If you're currently on a hair journey, cheers to healthy hair! I hope you enjoy the videos below.